BSc (Hons) Landscape & Heritage. Sue Hayward started up her garden design business "Sue Hayward Garden Designs" in 2004. Based in Breaston, Derbyshire she has built up a large portfolio of clients in the East Midland area and throughout the UK and abroad. Sue has a passionate interest in plants and planting schemes and visits gardens throughout the UK and abroad to further her knowledge of garden designs, plants and planting schemes. Sue is also an avid collector of books on historic gardens and landscape history & design. Sue was approached in 2007 by the Motor Neurone Disease Association to design and help build a garden for the 2008 RHS Chelsea Flower Show. Following this gardens success she designed and helped build a garden for the MNDA at RHS Chelsea in 2010. Designed the MND Shetland Croft House Garden that was awarded a Gold Medal at the RHS Chelsea Flower Show 2008. The garden also won the 'BBC's Peoples Favourite Award' for the Small Gardens section. RHS Chelsea 2010 Bronze flora. Designed, built and sponsored a "Beautiful Border Garden" called "Bringing Light to the Shade". This was given a Gold award and was featured on the BBC's Gardeners World. Nottingham Trent University, Dept. of Land Based Studies, Brackenhurst, Southwell, Notts. BSc. Landscape & Heritage Degree course. Attained a First Class BSc (hons) Landscape and Heritage degree. Awarded the 'Staff Prize' for high academic achievement. Nottingham Trent University, Dept. of Land Based Studies, Brackenhurst, Southwell Notts. University Foundation Degree in Science in Horticulture and Garden Design. Attained a FdSc in Horticulture and Garden Design with a distinction. Received the FdSc Garden Design Final Year Prize Award for excellent achievement. National Certificate of Horticulture (NCH). Attained a National Certificate in Horticulture with Distinction. Received the Rufford Cup for top student on the NCH course. Received the Alex Thompson Award for the botanical portfolio. Won the Gold Award for the Student Garden Design and Build competition. Graduated with a 1st class H.S.D. S.I.A.D. City & Guilds Garden Design. A short film of Sue Haywards trip to Shetland and an interview by Alan Titchmarch was shown on BBC1's Chelsea preview show on Sunday 18th May 2008. During the Chelsea show Sue Hayward was also featured on BBC East Midlands, BBC Radio Nottingham and BBC Radio Shetland. The MND Shetland Croft House Garden - designed by Sue Hayward - was featured in various publications including the Times, the Guardian, the Daily Express, The Daily Telegraph, The Nottingham Post, The English Garden magazine, Nottingham Today magazine, Derbyshire magazine, and Country Life magazine. Her Majesty the Queen and HRH the Princess Royal visited the garden. The Stephen Hawking Garden for Motor Neurone Disease - designed by Sue Hayward - was featured regularly on the BBC's RHS Chelsea Flower Show 2010 coverage. This included various TV interviews with Sue Hayward. It also featured a visit from Her Majesty the Queen and Professor Stephen Hawking that was widely covered in the national press and media. 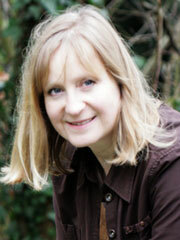 Sue Hayward gives talks and lectures to horticultural clubs and societies. Please phone or email for more details and availability. '1000 Miles to Chelsea' - The creation, design and making of the gold medal winning MND Shetland Croft House Garden at Chelsea 2008. 'A Garden in Time & Space' - the design and build of the "Stephen Hawking Garden for MND" 2010.
' Hints and Tips in Garden Design'. All photos, plans, drawings, text and illustrations © Sue Hayward Garden Design.